A Union Steam Ship Company ship built in 1898 by Denny of Dumbarton which had a 1 x 3 cylinder triple expansion engine, with a single shaft for 1 screw; 255 nautical hp and a top speed of 16 knots; grt was 3502, length 100.58 metres (330 ft), breadth 13.14 metres (43.1 ft) and depth 6.98 metres (22.9 ft). Passenger capacity was 212 first class, 124 second class and 91 crew. Cargo capacity was 3,393 cubic metres (119,820 cubic feet). 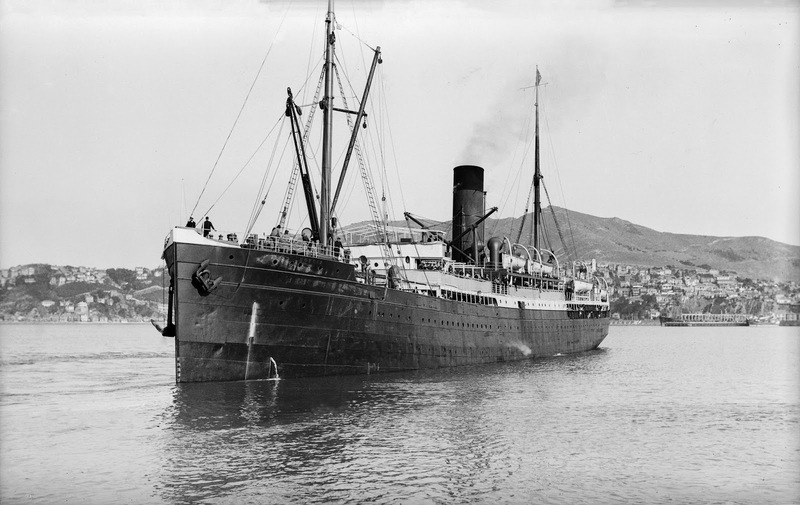 The Mokoia was used as a troopship in WW1 (see the book Voyage to Gallipoli) and withdrawn from service in 1920. However, the ship's fate wasn't determined until 1929 when it was reduced to a hulk and sunk in 1931 in Carey's Bay, Dunedin.